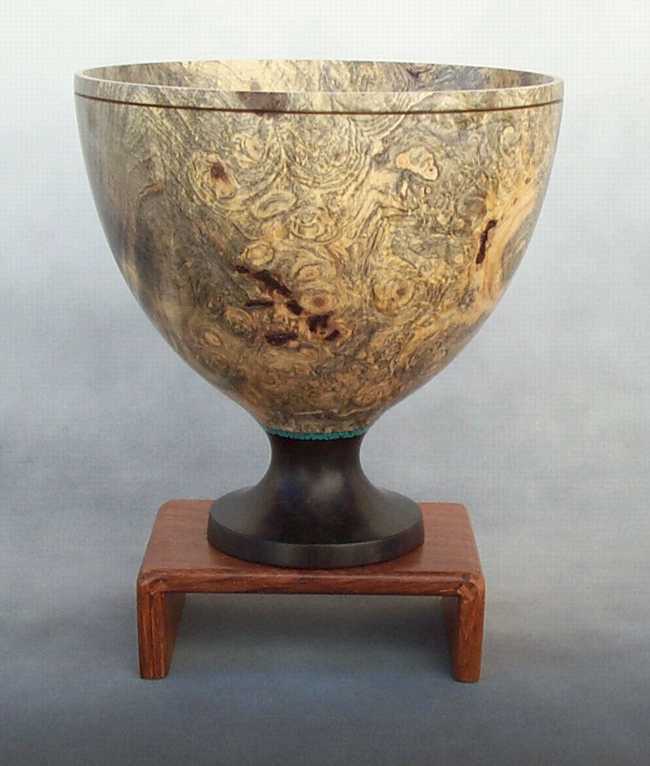 Buckeye Burl processed by WSSI, and turned into a goblet with a Gabon ebony base. Crushed turquoise was added to separate the ebony and the buckeye. This page was last modified : Monday, 27-Nov-2006 03:52:42 EST.